A few examples of my work . 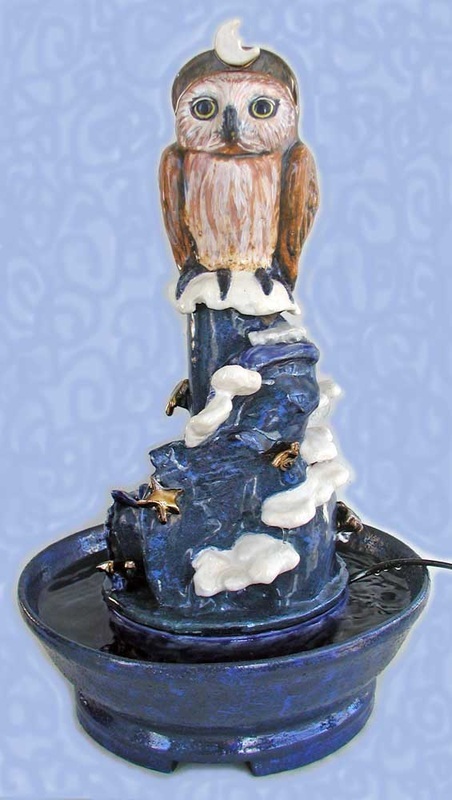 . .
Moonlight Reverie Garden Seat - Stoneware - 23" x 21" x 12.15"
Owl rises 15" on its base. Bowl Dimensions: approximately 3.75" diameter x 10 7/8" diameter. ones may be special ordered. 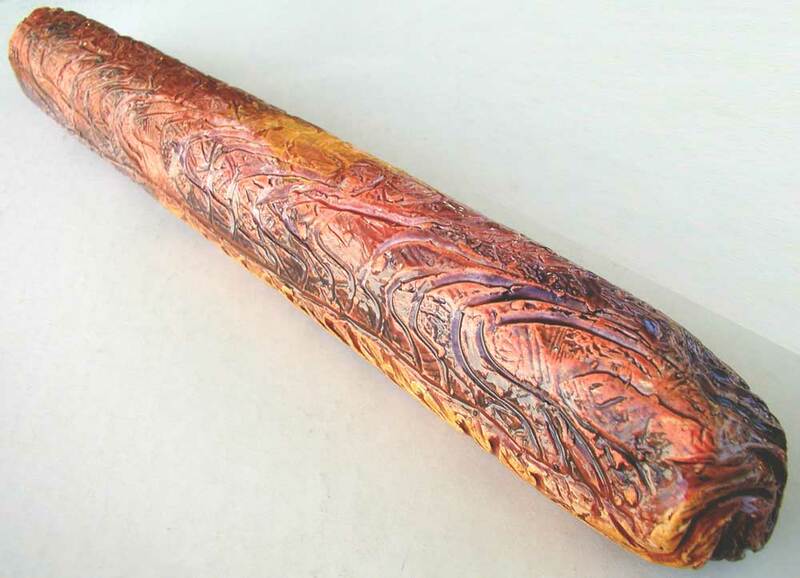 Examples of my porcelain work. 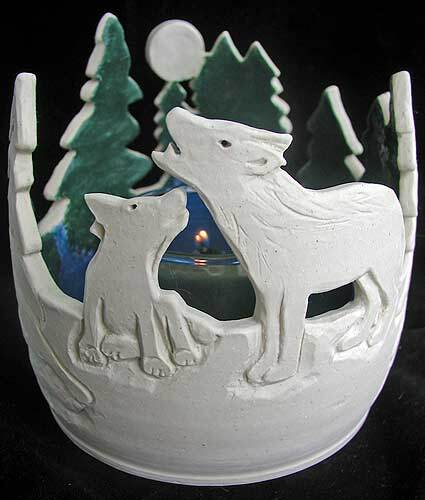 Wolf candle holder is in stock. Owl ornament sold out, but may be special ordered. Owl is a sample of the many animals I use in these. Shopping cart buttons coming soon.